This is an OK beer. It is first and foremost boozy. You do get a hint of the Belgian spiciness you'd expect from a saison, but it is overwhelmed by the alcohol. It is enough to make it drinkable, and at 9.7%, that is impressive. Pictured on the right. My (mildly inebriated) tasting notes on this: "super sour super good super strawberry super expensive". Awesome beer, and if you're willing to pay for it, I highly recommend it. Originally named James Bean. This honestly just tastes like I'm drinking a very mild coffee. I have no idea how it's hiding its booze so well, because it's quite strong, and I literally couldn't tell. Probably the smoothest stout I've ever had. Its so silky smooth that the texture alone has you reaching for more. Combine that with its rich, perfectly intertwined flavors, and you got yourself one of the best stouts in the world. This is amazing. Chocolate is the obvious flavor with a beautiful creamy feel and some nice hoppiness in the background. I didn't love this one. It's a bit hoppy and a bit sour. Neither flavor is strong, but I definitely don't like those two together. I didn't really get any maltiness, despite Allagash's description saying I would. Oh well. 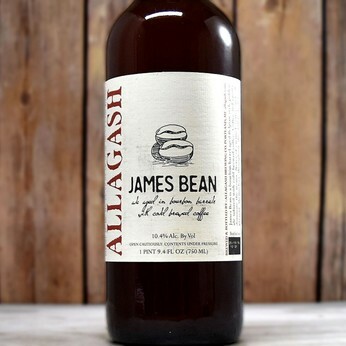 If you make as many beers as Allagash, I'm bound to not like one of them. So, this is my favorite beer aged on bourbon barrels? Sign me up. The spicy notes from the bourbon complement the sweetness and really round out the flavor of this one. It's a bit stronger, and combined with bourbon flavors gives you a hint of booziness as well. Amazing. 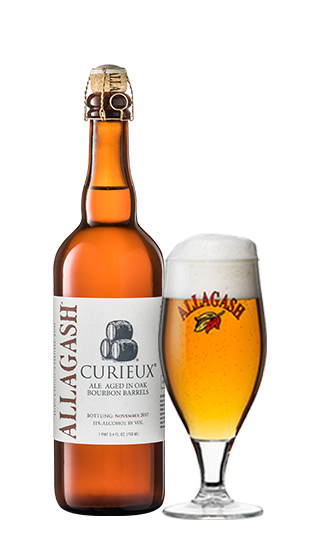 Another great one by Allagash. Not even a hint of bitterness with this one. It is sweet, malty, and strong. It is very carbonated, and has a very smooth finish. This has a surprisingly low amount of flavor for what it is. That must be the ginger toning things down. It hides the booze very well. This beer has some great flavors, and somehow it manages to hide the fact that it is 10% alcohol. That is hard to do. Another great one from Allagash. Medium to slightly above sourness level, and really quite funky. It's pretty good. Others with me liked this a lot more than me. Not quite as good as the description "The liquid equivalent of biting into a raspberry-filled dark chocolate cake." That said, it's damn good, and I'd still get this any day. A little malty/roasty finish on top of a nice tart beer. There isn't a ton of flavor in this. It has some hoppiness, but I wanted more spice. Still, it is extremely drinkable, which is what it's described as, so I gotta give it credit for that. This is pretty mild in terms of hops/bitterness, but it has a nice spiciness, almost like a saison. It definitely confused my taste buts, but it was pretty great, and not terribly expensive on tap. This is a great beer. It has quite a bit going on. It's fruity with a hint of sour at first. Then you get hints of wine (it was aged in wine barrels). Once you get used to all that, you finally realize that it is pretty boozy in the finish. It has a lot going on, and it is definitely worth having. I didn't love this as much as others from Allagash. It is very mild on the sourness, and I wanted more of that. It's definitely more hoppy than sour, and the high carbonation makes the flavor go away quicker. Great beer. Oak aged, wild yeast, and aged with a bunch of fruit all means that this has a lot going on. Definitely dominated by the tartness from the fruit/wild fermentation. It's pretty high on the sour side with a nice fruity finish. I didn't notice much from the oak, but I was by no means sober when I had it. My drunk notes on this just said "Great". Real in-depth analysis there for you. 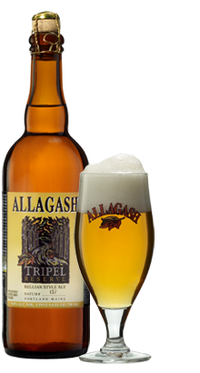 Allagash does tend to get the Belgian styles right (see below), so I have to believe my drunk self. I don't really know what to think of this. It tastes a little funky, but I can't decide if that's in a good or a bad way. It's a little hoppy too, but not too much. I took one sip and this was immediately my favorite beer. Enough said. Smells like scotch and tastes like it with some added malty notes. Big fan. This tastes basically like an extremely mild saison. It's not bad, but there really isn't much flavor. Definitely good for drinking outside during the day. A roller-coaster of emotions for this Belgian white. High expectations going in, disappointment on first sip (not the taste I expected), and satisfaction upon completion. This is a very good beer. It has a bit of a yeasty taste, but is still smooth and delicious, with a ton of spicy flavor. Plus, you can get it at Pebble Beach.